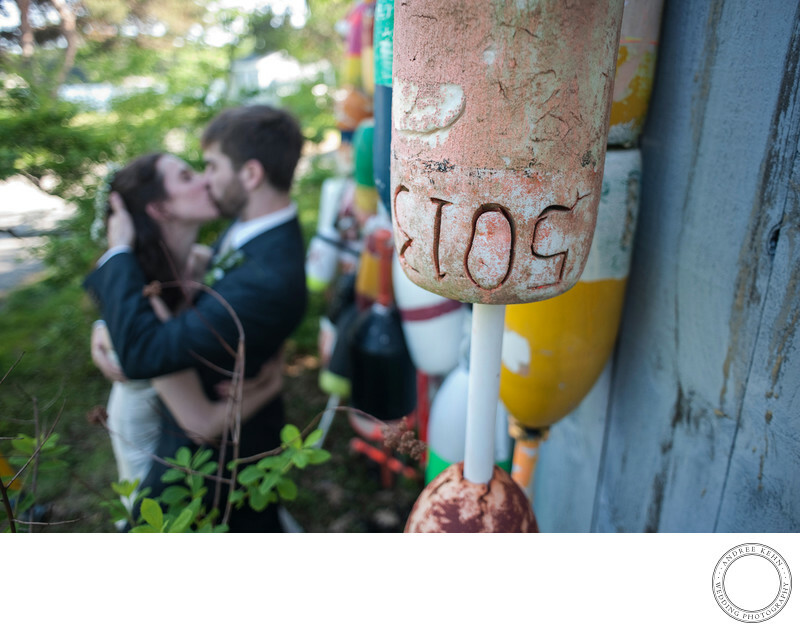 A few things make a Maine coastal wedding sing, and a bunch of lobster buoys hanging on the side of a shed fit the bill perfectly. These two professional dancers, chose the ocean front in Phippsburg Maine for their wedding and reception. After the ceremony, we took a stroll around the property and they stole a kiss and I stole a photograph. 1/125; f/2.8; ISO 100; 24.0 mm.